Seven incidents have occurred on Metro just since June. This may be the weekend, but it could very well feel like a Monday morning rush hour on the roads. Two events – one in the District and another in Virginia – could test drivers’ patience today and tomorrow. Expect a number of street closures downtown this morning, as walkers take to the street for the annual Fannie Mae Help the Homeless Walkathon. The event began at 9 a.m. and will encompass several downtown streets before ending on the Mall at approximately 11:30 a.m. Participants will go eastbound to 7th Street, NW, then southbound on 7th Street, NW, to Independence Avenue, SW, westbound on Independence Avenue to Raoul Wallenberg Drive, SW, southbound on Raoul Wallenberg Drive, SW, to Ohio Drive, SW, around the Tidal Basin back to Independence Avenue, SW, eastbound on Independence Avenue, SW, across 14th Street and end at the intersection of 14th Street and Madison Drive, NW. Police in the District have suggested using alternate routes. Virginians will also have to deal with lane closures on the Beltway. All southbound lanes of I-495 will be closed tonight at 11 p.m. Saturday so crews can continue work on HOT lanes. The roadway should reopen by 9 a.m. Sunday. The northbound lanes were closed overnight Friday. 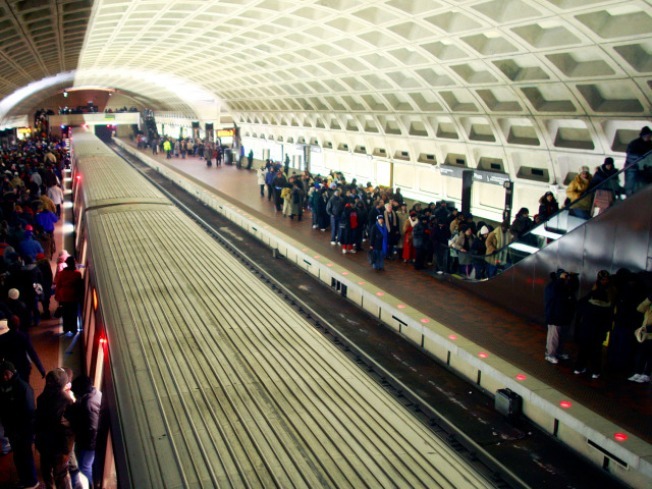 Meanwhile, if you plan to ride Metro, expect at least 30 minute delays Saturday and Sunday. Due to track maintenance, trains will be sharing one track on the Orange Line between East Falls Church and Ballston stations, on the Red Line between Medical Center and Grosvenor, and on the Blue Line between Van Dorn and King Street stations. In addition, 11 metro bus routes will be detoured because of a Thanksgiving parade in Silver Spring.